How do you counter tanks with ERA? It depends on both the tank that is the target and the ERA the tank has equipped, as well as the ATGM. For example, the TOW-2B is extremely effective against Russian armor because it is a top attack munition, as well as being a modern, advanced warhead that can defeat ERA. In my experience, 9 times out of 10 if a TOW-2B is on target, it will destroy the enemy tank regardless of ERA or not. The javelin is the same for the same reasons as the TOW. Most Russian ATGM's are not very effective against an Abrams (frontally), because the Abrams armor is specifically designed to defeat HEAT warheads, even tandem HEAT warheads used by modern ATGM's. Even the AT-14 has a hard time penetrating an Abrams from the front unless you hit a sweet spot, such as the drivers hatch, or thread the needle and hit the turret ring. The very condensed simple way to look at it is; when playing as the US you want to be precise, and while playing as the Russians you want to try to volley fire your ATGMs against a few select targets. Of course there is plenty of nuance, but that's the simplified version anyway. I can't speak for Ukrainian equipment as I am not very familiar with it, but I think it's safe to say that they are not as capable as the Russians or US, and so you have to adjust accordingly. When in doubt, you can always google a weapon system to get a wikipedia education on its capabilities. For all the reasons that the good Captain describes.....Sometimes kinetic energy just can't be beat! ERA is usually not a great obstacle in this game. The most common US ATGM is Javelin, which is top attack. The Russian Cornet or Metis will also defeat ERA. Basically ERA is only effective against LAW or RPG ( but not the one equipped with tandem warhead ). ERA also doesn't offer much protection against the modern tank rounds. If your playing as Blue Sgt ans everyone is right - most US/Brit missiles (tow 2b or jav make era irrelevant) and those DU or plain sabot rounds make short work of the rest. For Red for ambushes with tanks and an atgm or two OR have a keyholed tunguska with the tank or a couple atgms - if the tunguska gets thw drop on a bradley or any apc itll shred it and usually they blow off so many era panels, degrade subsystems; often literally stun the tank crew into inactivity long enouugh to get plastered. So IIRC it was like 15 or 20 Redfor casualties and we lost a BTR for 4 Abrams 2 or 3 Brads and about 50 or 60 US troops. It was easily the most lopsided victory Ive ever had facing cream of the crop US units led by a competent human who had real combat experience. UKR can be depressing. I recently fired 3 ATGM in quick succession against a T72. Just got soaked up by the ERA. The lesson is that with RUS ATGM you're not guaranteed a kill, buts probable. With UKR ATGM you really better have a back-up plan and assume 50/50 failure. With US its fire n forget, brah. Press the trigger and refresh Facebook. Yeah dude honestly the Ukr is a one of those sides that masochists like. 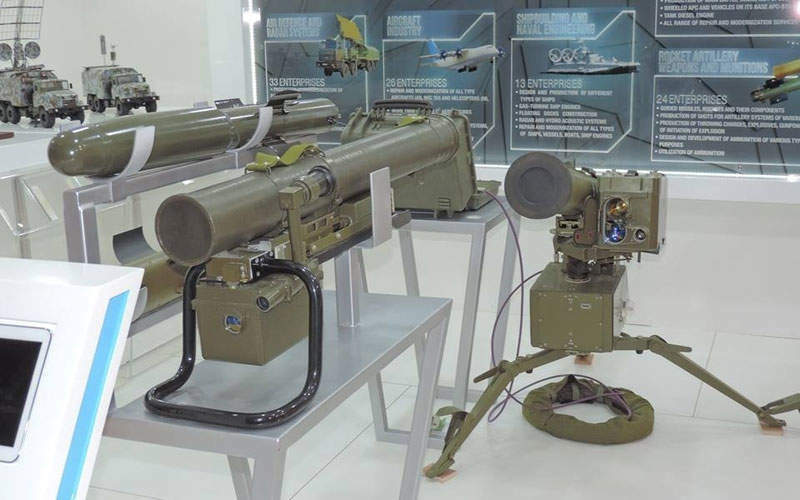 And the ATGM rate may be too high - haiduk and other Ukrainians or Donbass War experts have noted repeatedly that AT-4s fail without even user error like half the time just because theyre so old now.. I can say even more. Newest Stugna-P, which have come in service during 2013-2014 also failed sometime. Our soldiers said about only in average 3 of 5 launches were successfull. As if early version of R-2S missile have too much sensitive aerodinamic rudders , which were engaged by airstream after launch, deflected so sharp, that this sometime led to the descent of missile from trajectory and lossing of laser tracking - as a result, the missile either flew away or hit the ground. As if only after NATO sertification in late 2015 this problem was resolved. I don't know this is true or not, but this thing discussed on our military forum. I fought a PBEM as Red against a Blue UKR. My opponent was able to take out a number of my T-90s that had ERA, but not ARENA. I think the ATGMs were Skifs or something - two tubes mounted on top of a wheeled AFV. That was actually a pretty close victory for me, and I was a bit surprised by the vulnerability of the T-90s to the OPLOT cannon-fired ATGMs also. I learned that even if the T-90 pops IR smoke, reverse in a different direction than straight back. Yeah dude honestly the Ukr is a one of those sides that masochists like. This thing rips through ERA like nobody's business. If you're playing the UKR campaign, take care to keep these things. The "Corsair" (which is what I call it, not sure if that's the correct translation) do not have as much of a punch as RU or US ATGMs, so it may take two hits to take out a T-90A. This being said, they are very accurate, quick to set-up and reload, in my experience. All this being said, the Javelin is a superior solution and I can see why UKR, IRL, is really eager to acquire it. The other thing I noticed is that ERA (especially on my Oplot-Ms) is very vulnerable to autocannon fire. Sustained 30mm fire will very quickly destroy ERA, and cause a very disastrous amount of commotion. The crew is rocked, and needs more time to seek and destroy the source of the fire. All the while, their optics are getting damaged and their main gun can even be knocked out. The trouble with the Corsar vs the more modern Russian MBTs is that it's laser guided and tends to set off the target vehicle's laser warning receiver leading to smoke/evasive action. Still, having them take evasive action is better than having them shoot at you. I believe its failure rate is quite high too. I'm reminded many [decades] ago '60 Minutes' correspondent Andy Rooney (former WWII war correspondent) was showing a clip of the then-new Abrams MBT being put through its paces on a training ground. He pointed out 'Do you see what's in the background of that shot? Those are trees. Tanks can't go into those woods' (or words to that effect). CM titles aren't particularly big on heavily forested no-go areas for armor but CMBS does have more tree cover than some other titles. If instead of hunting Russian tanks you force them to come to you the chance that you're going to get a nice close range rear end shot goes up considerably. This is the reason why extending the time on a scenario against the AI is considered 'gamey'. Because the armor will probably run itself out of movement orders and be sitting there waiting for you to maneuver around for a good shot against them.